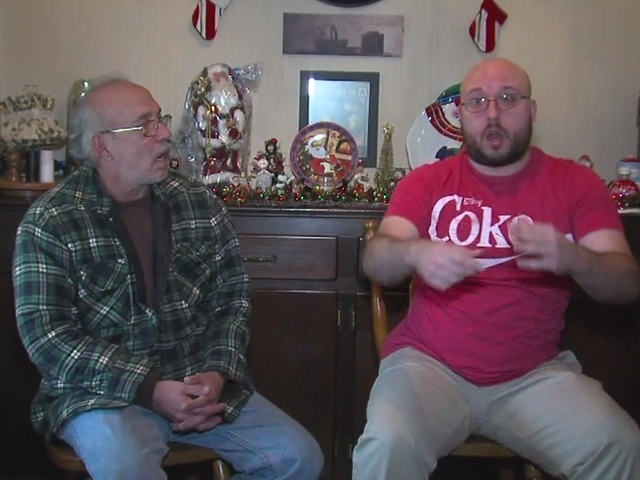 After Parma Police say a 21-year-old man walked into a gas station and fatally shot its owner during a robbery, the man turned to two customers who are deaf. “And when he pulled out that gun, I grabbed him, I grabbed him,” said Steve, Sr., a Parma resident who spoke through an interpreter. He and his son did want their last name used. Steve, Sr. said the gunman, who police identify as Logan Sinclair, pointed his weapon at him. But Sinclair wrestled the gun back and then made Steve's son the target at point blank range. They said that's when the suspect ran out of the Sunoco station on Pearl Road. The owner, Bob Sposit, lay there. His life was quickly slipping away. Steve, Sr. said he and Sposit were good friends for the past 15 years. He described Sposit as someone who was nice and funny. Sinclair is in jail on $3 million bond. His case will go to a Cuyahoga County grand jury. Steve, Jr. and Steve, Sr. are uninjured.